I love to create beautiful smiles. 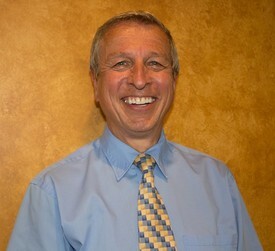 What’s more, I have 30 years of experience here in the Northwoods doing just that – providing quality dental care for you, your friends, family and neighbors. My philosophy is that I treat all of my patients as I would like to be treated myself. I enjoy all facets of dental work, but my passion is cosmetic dentistry. I completed a post doctorate cosmetic dental program and was offered jobs across the country as a cosmetic dentist. I am still taking Continuing Education courses with doctors who are recognized internationally, and are the best in their field. When a patient is concerned about a chipped, broken, yellow or missing tooth, it’s a challenge to me. I ask, how can I make this into the most attractive and healthiest smile possible? Of course, I’m rewarded by your outstanding smile. I attended Carroll College, Waukesha, WI for my undergraduate education and earned my Doctorate of Dental Surgery from Marquette University in 1984. I take between 25 – 50 hours of continuing education every year to stay on the cutting edge of new procedures and technology so I can provide you the very best of care. 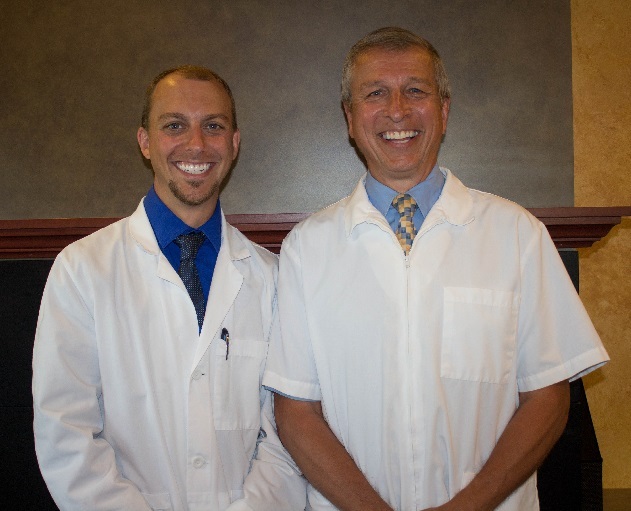 I was proud when my son, Jason decided to follow in my footsteps and become a dentist as well. I was even prouder when he decided to join me here in Eagle River. 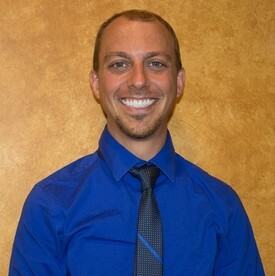 When Jason did join the practice, we changed our name to Potrykus Family Dentistry to reflect the fact that we provide a full range of services to your entire family and that we actually were a dental family doing family dentistry. In 2012 we expanded our practice and established a satellite office in Three Lakes. Now with two locations, it’s even more convenient for you. Dr. Jason sees patients there two days a week – Tuesday and Wednesday. My Family – I am so blessed! My wife Vicki and I love to travel and are especially dedicated to providing dental care for the impoverished people of Haiti. To date, we have completed numerous mission trips and treated hundreds of Haitians. We have spearheaded two mission trips, and have partnered with another dental organization to establish a free Christian dental clinic with eight chairs in the town of Hinche, Haiti. I love to make people smile. It’s as simple as that. I love the challenge of helping you, our patients, find the best solutions for your health and dental health care needs. I believe that passion shines through in my work. We work together as a team to improve your quality of life -- whether it is a small fillling to help strengthen a tooth, or an implant to chew, taste, and enjoy your food better. Finally, your smile is a reflection of our relationship based on mutual understanding, trust and respect. Nothing is more rewarding than that. I grew up right here in the beautiful northwoods in a dental family. After graduating from Three Lakes School, I attended the University of Wisconsin Madison and Edgewood College for my undergraduate education. I earned my Doctorate of Dental Surgery degree with honors from Marquette University in 2009. I also have extensive training in implants, earning my Masters in Implant Surgery shortly thereafter. My first love in dentistry is surgery, so I was thrilled to serve on a short term mission’s trip in the Dominican Republic doing only dental implants to finely hone those skills. I take between 25 – 50 hours of continuing education every year to stay on the cutting edge of new procedures and technology so I can always provide you the very best of care. In 2012 I expanded my practice and established a satellite office in Three Lakes. This office is much more convenient to the Three Lakes community. It is open two days a week – Tuesday and Wednesday. It’s wonderful to give back – to serve some of the people that supported me as I was growing up. Some of you may know my beautiful wife Ashley, who also works in the health care field. She enjoys helping people as well, as a nurse for Dr. Sikka at the Pain Control Clinic in Rhinelander. I have two amazing sons, Ethan and Matthew. When I’m not at the office, I enjoy spending time with my family and friends. My sons and I enjoy martial arts classes together, and I really love helping coach their sporting activities including t ball and soccer. I’m an avid endurance bicyclist. I love the challenge of “century” rides – 100 miles at a time! If you see a blur on the road sometime, it may be me. I’m constantly training for my next adventure. I also love travel and photography. You are always welcome to come in to see my photography work displayed throughout the office.